The reputation of a business in the market place accounts for over 50% of its ability to acquire new clients. 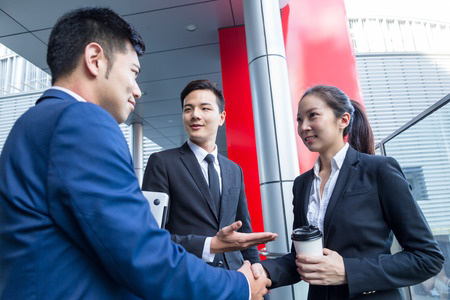 According to many studies conducted on the subject of business ethics and its effect on marketing, reputation is the greatest single factor that affects a business' marketing efforts. If you can prove your worth you're already ahead of the game. Nothing can contribute to or destroy your company's reputation like the word of your clients. Prospects want to find the companies they can rely on most. The best way for them to do that is to find out what a company's existing clients think of them. Prospects are much more inclined to believe what existing clients say about a business than marketing pitches. If your clients testify that your company more than satisfies their needs, prospects will tend to believe them. By having a process in action that continually asks your clients what they think of you and by diligently working to improve your company's performance, you can easily prove that your clients think highly of you. With that proof you can establish a rock solid reputation in the market place and at the bargaining table. The very best form of marketing is for a company's clients to directly refer that company to key people who are, or work for other potential clients. Your sales team, armed with that information can easily set up appointments to talk to those key people about your company and your services. Prospects are inclined to listen because your client has already given them their approval. 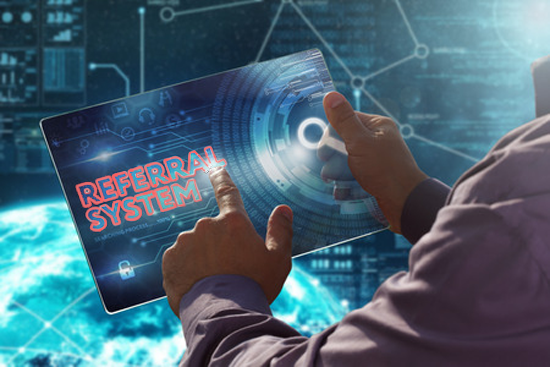 AEC Performance has methods in place that are specifically designed to make getting client referrals relatively easy. We can get them to enumerate prospects to whom they might be inclined to refer your company, without being intrusive. With that your sales team can easily just call them and ask them to refer your company to those prospects. The most powerful content in any marketing materials is testimonials from existing satisfied clients. When prospects see specific quotes from clients saying that they are happy with your services & products, they are inclined to believe them. Seeing that you really do have happy clients, prospects are more inclined to believe you as well. That makes your marketing a lot more effective. With our system, asking for testimonials from clients is to be expected. Clients will usually just answer carefully worded questions with positive feedback and grant permission to use it for marketing. You can take those quotes and publish them in any of your marketing content. A vigerous plan of action to improve performance gets results. Over time your performance will be top notch and your data will reflect that. Once you've got enough data proving that your performance is outstanding you can use that information to tout your excellent performance with factual data. AEC Performance judges your performance based on data that we've collected from your clients. 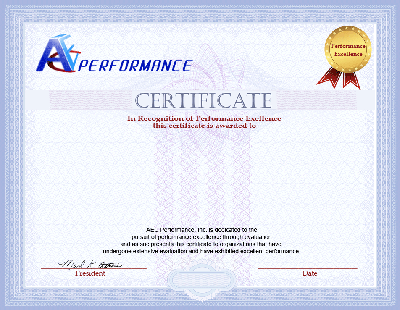 When your performance, overall or in specific areas is considered excellent we can present you with a certificate indicating your excellent performance. Of course you would use that in the marketplace, at the bargaining table or anywhere that you think it might give you an edge. Copyright © AEC Performance, Inc. 2004-2019 All Rights Reserved.